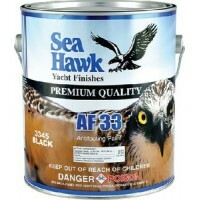 Sealer barrier primer recommended for use over previous tin-based antifoulants prior to recoating to..
Multi-Season Formula - 3300 SeriesSelf-polishing copolymer antifouling. 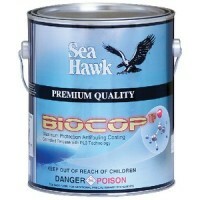 Formulated to be a harder mo..
Two-component zinc chromate pigmented, polyvinyl butryl coating (wash primer) used as a pretreatment..
A high build, chlorinated rubber based primer recommended for use over old copper based antifoulants..
Bio-boost activator 1/2 pt Size: 1/2 Pint..
Advanced Dual Biocide for Max Protection - 1200-1 SeriesAn alternative to tin-based paints, protects..
Has a high cuprous oxide content, with slime resistance - offering unprecedented control over all ty..
Self-Polishing Premium Performance - 3400 SeriesHigh loading cuprous oxide. A top performer, even in.. 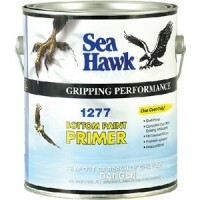 Designed for use with Sea Hawk Tuff Stuff, Black Barrier Coat andS-76 Primers. Never reduce primer m.. 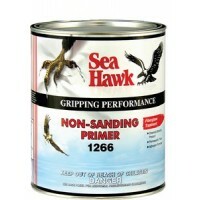 Designed for use on a new fiberglass hull when sanding is prohibited by manufacturer. 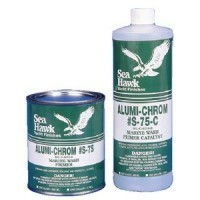 Softens existi..
A flexible, environmentally friendly antifouling for your inflatable. 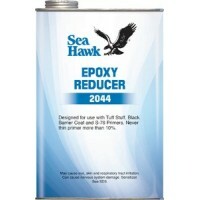 Over 80% lower VOC's than solv..
A multi-season, tin-free, self-polishing paint that provides equivalent protection to tin-based form..
Self-polishing antifoulant with a copper free biocide. 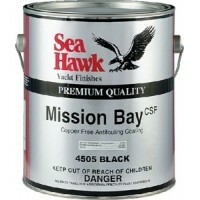 When exposed to UV light, the nano-based tech..
Copper & Solvent-Free (CSF) ablative, self-polishing antifoulant. 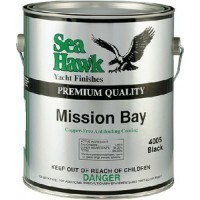 Water based, over 80% lower VOC's ..